I started getting natural beaded rows extensions about 4 months ago – when baby Finn was about 2 months old. I have always had hard to manage, curly, FINE hair and have been getting keratin treatments for the past 5 years or so off and on. With all that said, my hair has been the bane of my existence since junior high. Truly a struggle. 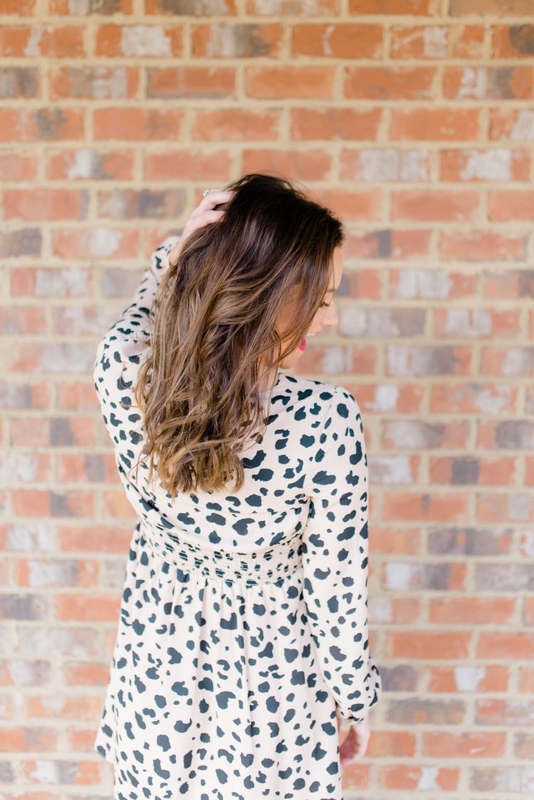 I would spend an hour, at LEAST, every time I washed it blowing it out and trying to bend it to my will with a flat iron – which of course only resulted in more heat damage! Even with naturally curly hair, when I blow it out to tame the frizz and curl it, it also drops a curl. It’s truly maddening. I don’t get it. Even my friends who are great with hair that try to help me style it are shocked when they see the beautiful curls they gave me flop within a few hours. HA! Fast forward to a couple of years ago, one of my best friends got diagnosed with lymphoma and I watched her hair fall out in clumps. I swore I would never complain about my hair again. Of course, I forget about that some days, but truly in the grand scheme of things hair is just hair. What I will say is that if there was ever a time I would want to get extensions though, it was certainly when I got them! 2 months after baby was born right before postpartum hair loss kicked in! I got my extensions put in by Alison Rogers at Salon U in Homewood and instantly fell in love. After a few hours of sitting in her chair and letting her work her magic, I turned around to the mirror to see for the first time in my life Instagram-perfect hair. What was this magical mermaid hair sitting on top of my head?! I was instantly in LOVE. 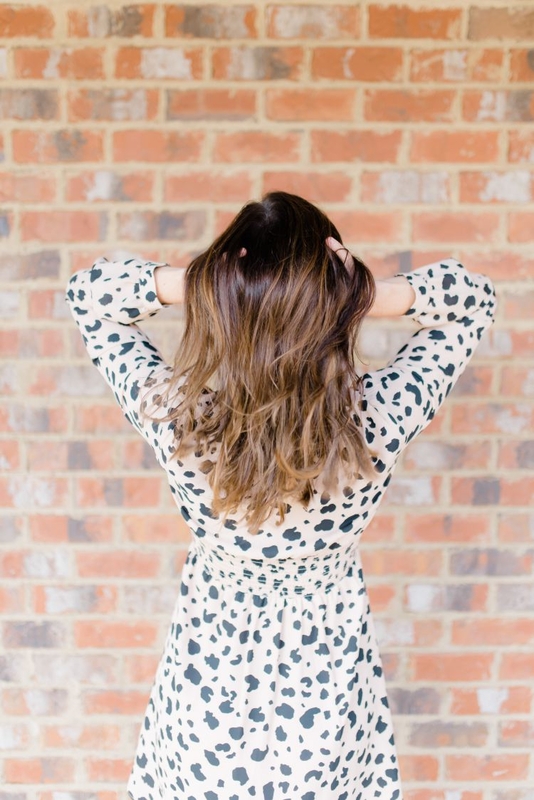 Each time I have gone to get my extensions moved up to my scalp when it grows out, you guys have lots of questions about how it works and what the upkeep is like so I thought I’d just put it all out here on the website so that you can refer back to it if you’d like to. I asked Alison a MILLION questions when I first got my extensions because you best believe that I was bound and determined that I was going to make them last as LONG as possible and do everything in my power to keep such a precious investment well taken care of, ha! 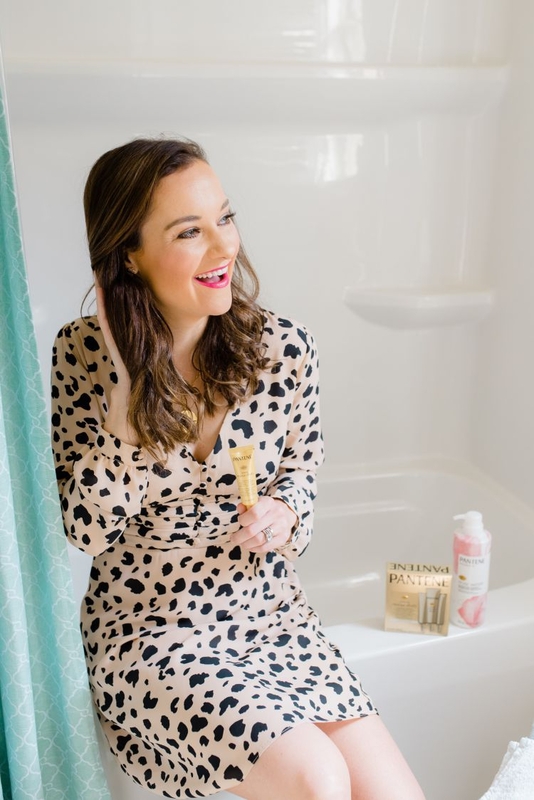 The biggest thing she harped on was that extensions need to be moisturized, conditioned and cared for as much as possible and that I needed to use sulfate-free shampoo. 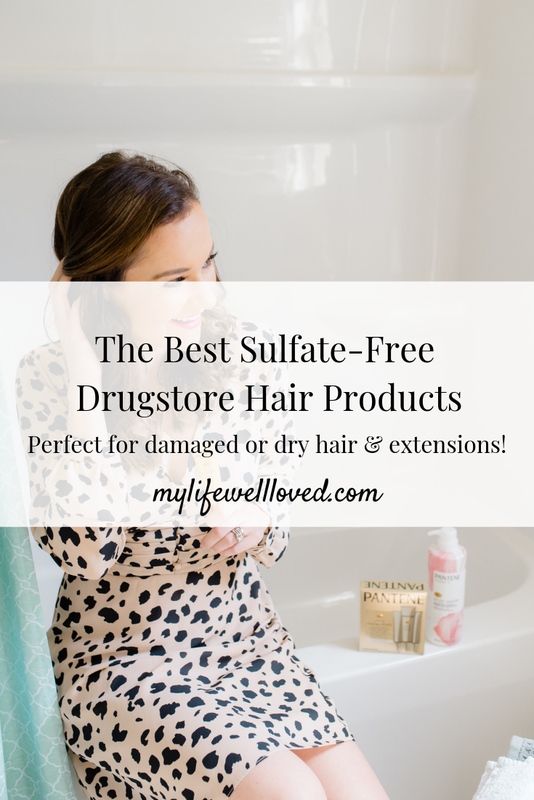 This was not new to me since you have to use sulfate-free products with keratin treatments as well. 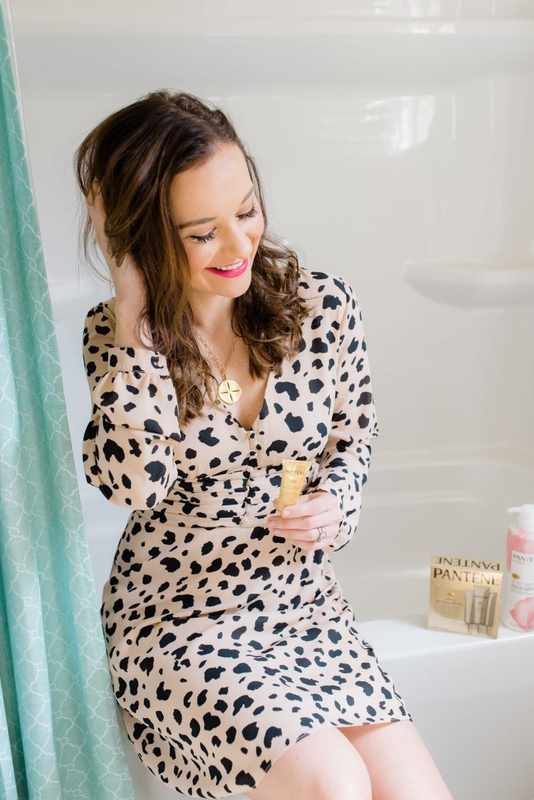 I recently found The Pantene Pro-V Intense Rescue Shots that are formulated for deep conditioning and was excited to try them because anything I can do to keep my extensions well hydrated is a win! 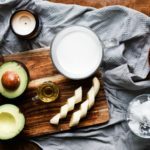 This at-home rescue treatment has been imported from BRAZIL, might I add! Crazy, right?! I was really worried after I got my extensions that they would be difficult to style and make them look like fresh salon hair! 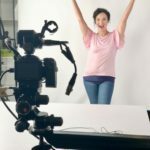 The Pantene Pro-V Intense Rescue Shots help SO much with that and help keep my hair extra moisturized and hydrated in between appointments! I know what many of you might be thinking – “I have no time for extra steps when it comes to caring for my hair!” I hear you! Luckily for all of us, the Pantene Pro-V Intense Rescue Shots aren’t like other hair masks! After you have shampooed with the Pantene Rose Water Shampoo, use the entire Pantene Pro-V Intense Rescue Shots just like you would conditioner! 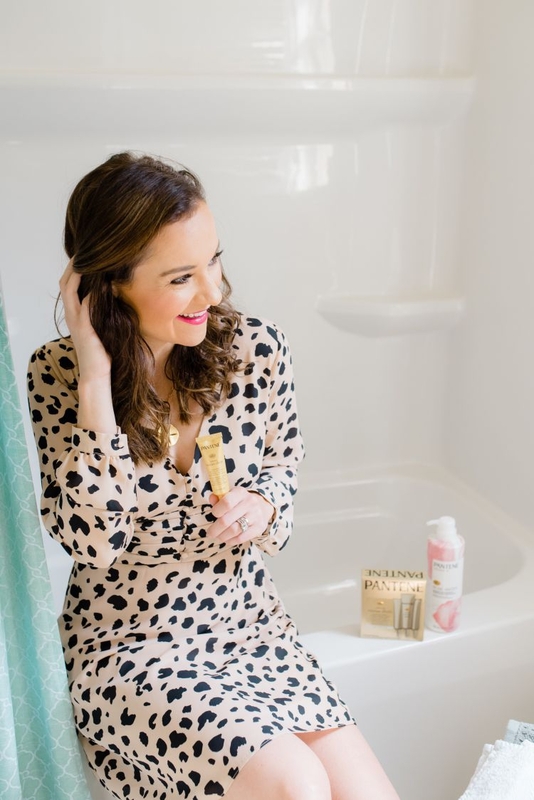 It is meant to be used at one time, which guarantees you have plenty to cover all your problem areas – for me, that definitely means my ends and the pieces around my face! After 30 seconds, you rinse for 30 seconds and you’re done! It’s no wonder it’s the #1 selling new treatment in the haircare category. 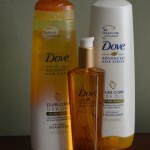 Much to my surprise when I was exploring the Pantene line, I found that they now have a sulfate-free shampoo as well! 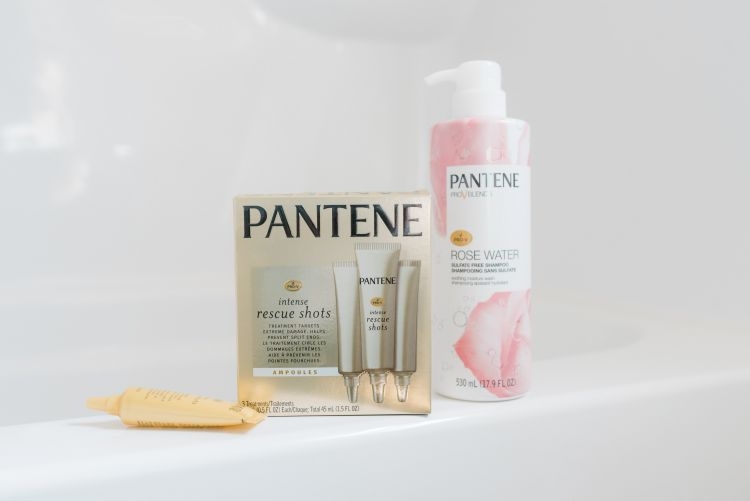 And I’m not gonna lie, the pretty pink and white packaging drew me right in… hello creative and pretty choices being made in the Pantene marketing department! I see you. I, of course, had to scoop this up to try as well! So, let’s deep dive into your FAQ’s about extensions, shall we? 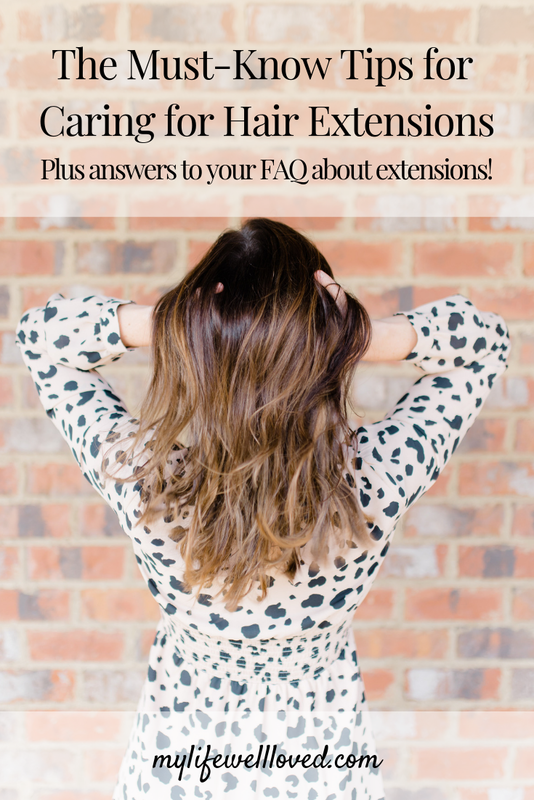 I asked Alison to send over some of her best extension care tips for me to add in below too so you know it’s as thorough as I can be! She is so sweet and if you need someone to do your natural beaded rows extensions in the Birmingham area, she is your girl! 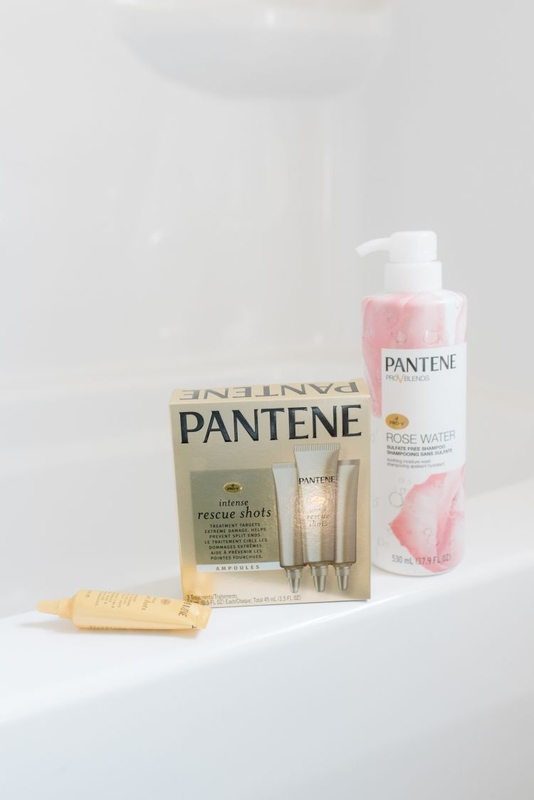 Use a sulfate-free shampoo like Pantene Rose Water Shampoo. 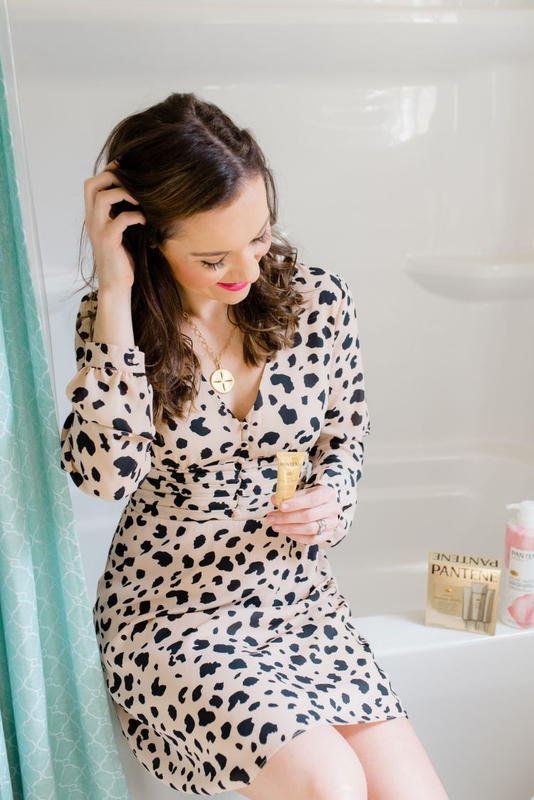 You’ll love the scent and the pretty bottle as I mentioned! Keep your extensions well hydrated! You can pick up the new Pantene Pro-V Intense Rescue Shots for the perfect deep conditioning treatment after shampooing! Rub the ends with oil as needed to keep them feeling fresh. You don’t have the natural oils from your scalp like the real hair does. Keep them brushed out – I use a wet brush because it doesn’t pull too much on the hair. When brushing extensions, start at the bottom and work your way up to prevent tangles/ knots. 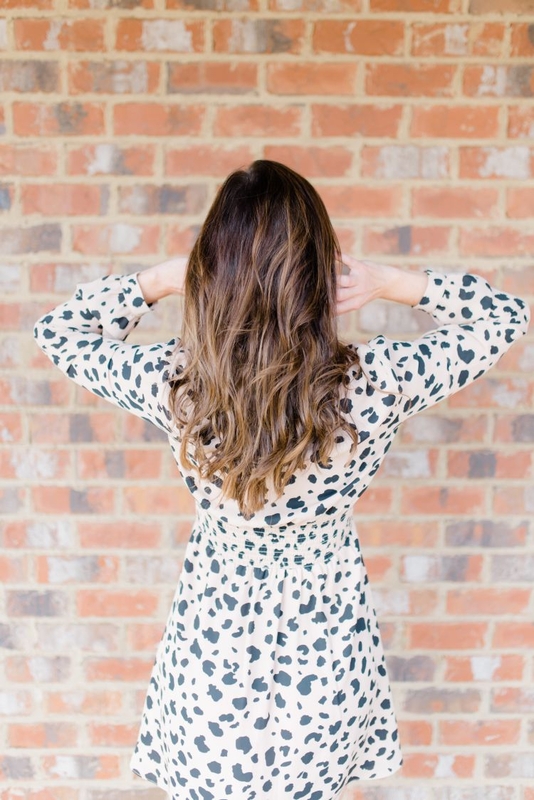 When drying hair, clip up into sections and dry natural hair first as it will dry quicker, then get most of the moisture out of the extensions, and finally use a brush and round brush them all together. Put hair in a loose braid to keep them from tangling while you sleep. 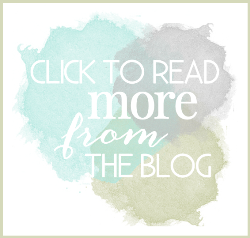 Blow dry and use heating products as LITTLE as possible! What is the cost of natural beaded rows hair extensions? The hair you purchase up-front to use lasts 6 months is around $500 and up. 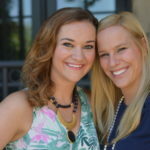 The 3 hour service that includes color of your hair + custom-colored extensions + cut and styling is $600+. Touch ups vary based on coloring needs but typically around $400. Consultation & removal are complimentary. Your first move up of the extensions back up to your root is half off when you go to my stylist Alison Rogers at Salon U! 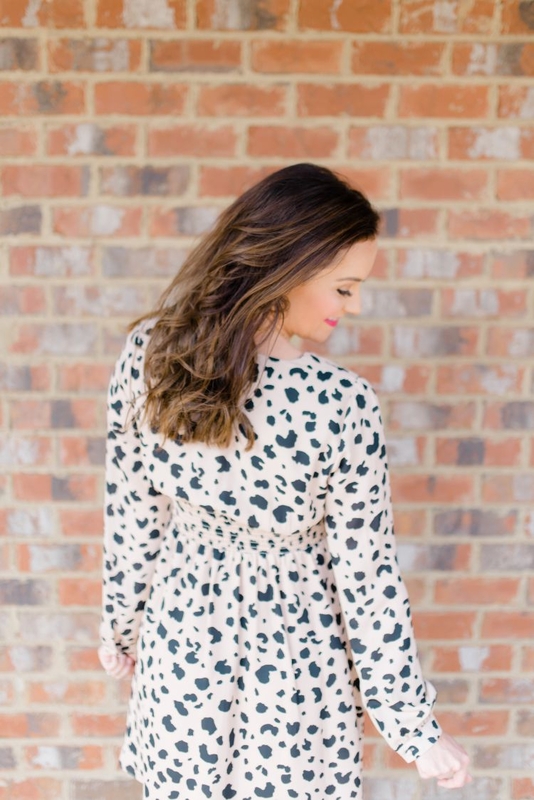 How long does it take to put in hair extensions & how long do they last? 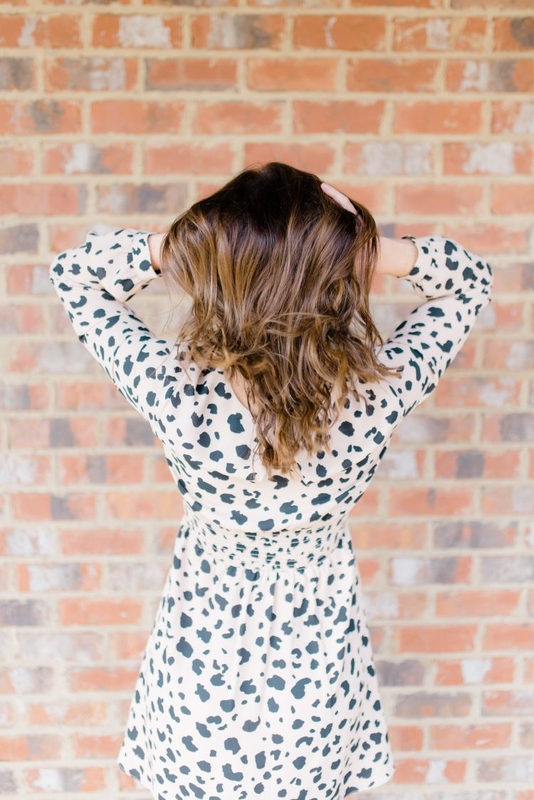 It takes about 3 hours to put in cut to blend into your hair and color both your hair and the extensions. They last 6-8 weeks or as often as you color your hair because they have to be tightened. (Moving them back up to your scalp after new hair growth.) Once you buy the hair, it lasts approximately 6 months. Do natural beaded rows damage your hair? Natural Beaded Rows are really low damaging as far as extensions go because there are only 10-20 tiny sections that are points of contact with your hair. They’re less damaging than tape-in or glue-in extensions. They don’t pull out your hair when they are removed. 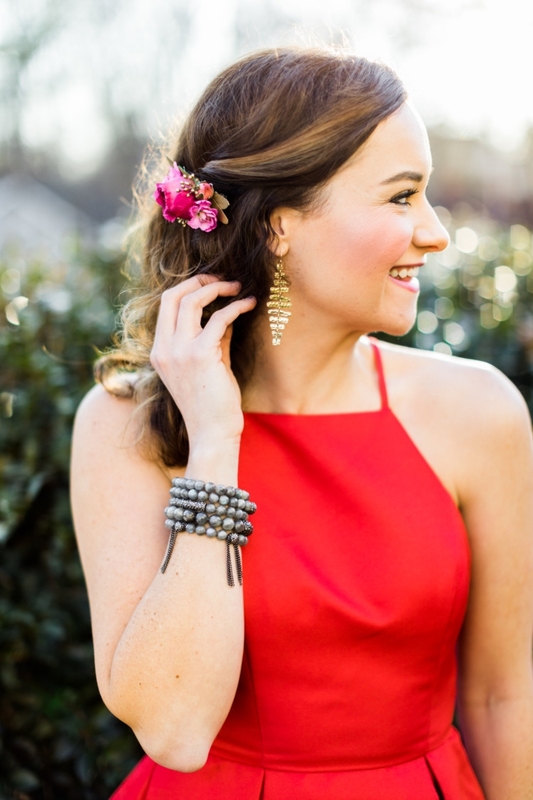 You have to style them as you would your normal hair and they tend to hold a curl better than your own hair. You have to be a little more careful when you wash and need to use a moisture-rich shampoo. You have to put some kind of oil on them every day or 2 days so they don’t dry out. I have moved my extensions up at the 7 week mark both times I’ve done it so far! Who do you go to and how can we contact her to try it? 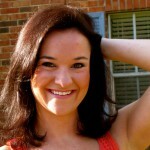 I go to Alison Rogers at Salon U in Homewood! 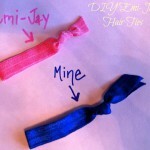 PIN the How To Take Care of Hair Extensions Post for Later!